A tropical storm that rapidly formed off Mexico’s Yucatan Peninsula has gained new strength and could become a dangerous Category 2 hurricane with an expected midweek strike on the Gulf Coast in the Florida Panhandle, forecasts say. Florida Gov. Rick Scott issued an order for a state of emergency for 26 counties to rush preparations in the Florida Panhandle and the Big Bend area, freeing up resources and activating 500 members of the Florida National Guard. Michael emerged Sunday as a tropical storm with winds of up to 50 mph (85 kph). But within hours Sunday it had gained more punch and its top sustained winds clocked in at 60 mph (95 kph) by late Sunday evening. 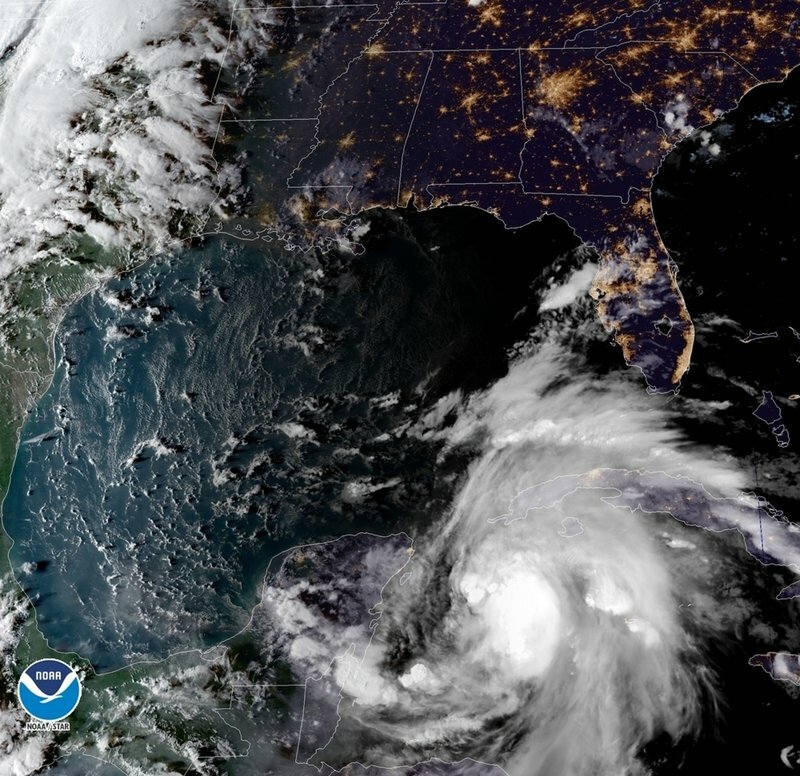 The storm is expected to gain hurricane status by Monday night or Tuesday as its center moves over the Yucatan Channel and then crosses the Gulf of Mexico, nearing the Florida Panhandle coast by Wednesday. The storm was located by 11 p.m. ET Sunday about 105 miles (170 kilometers) east-southeast of Cozumel, Mexico and moving to the north at about 5 mph (7 kph). Tropical storm winds extended out 170 miles (275 kilometers), primarily to the northeast and southeast of the storm’s center.